Drinking Water Helps You Lose Weight! See How! 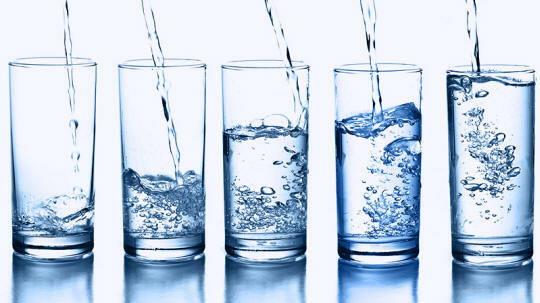 Nutritionists always been advised to drink water at least 1.5 to 2 liters a day. The reason for this indication is very simple, water is the fundamental component of our body, which consists for about 70% just in this solvent. Every day, our body loses numerous amounts of water through urine, feces and perspiration. In addition to the normal daily losses there are also those due to sweat as a result of physical activity and excessive moisture in the air. In these latter cases, in fact, it is necessary to reintegrate the portion of water lost, assuming a greater amount. But what is the role of water in our bodies, and why is it so important? In addition to representing a fundamental component of all our bodies, water is the solvent in which all the enzymatic reactions take place and which is used for digestion, metabolism, for the regulation of body temperature, for the elimination of waste from body. Drinking the right amount of water each day, also, it helps us also for the loss of body weight. It, as just mentioned, also regulates the body temperature. This means that drinking the right amount of water each day, stimulates thermogenesis, in other words the production of heat and this determines the consumption of a greater amount of calories and weight loss. The water activates the metabolic reactions that are the basis of thermogenesis, but this interaction lasts only little time. For this reason it is important not to drink sporadically throughout the day, but drinking a glass of water about every half hour to get the maximum benefits . The important thing is not to push yourself to get thirsty, because the latter are already active when the body is dehydrated and, therefore, is in urgent need of hydration. We must instead keep always active metabolism that, according to recent studies, would increase by about 30% already after the intake of just two glasses of water at room temperature. Next post: Clear your Stuffy Nose in 1 Minute! See How! Previous post: Treat The Asthma With a Simple Beverage!